Hello all, I have recently purchased a 2008 Rabbit and I have done a lot of work on it. It is fun to drive. I have cleared all the codes and I have had no problems with the performance of the vehicle. However, there is "code" 2-5 next to the odometer and I can not find any information on it anywhere. Please see picture. If anyone has any information on what this means, I would greatly appreciate the help. The Rabbit is based on the Golf. Cleared all codes with what? 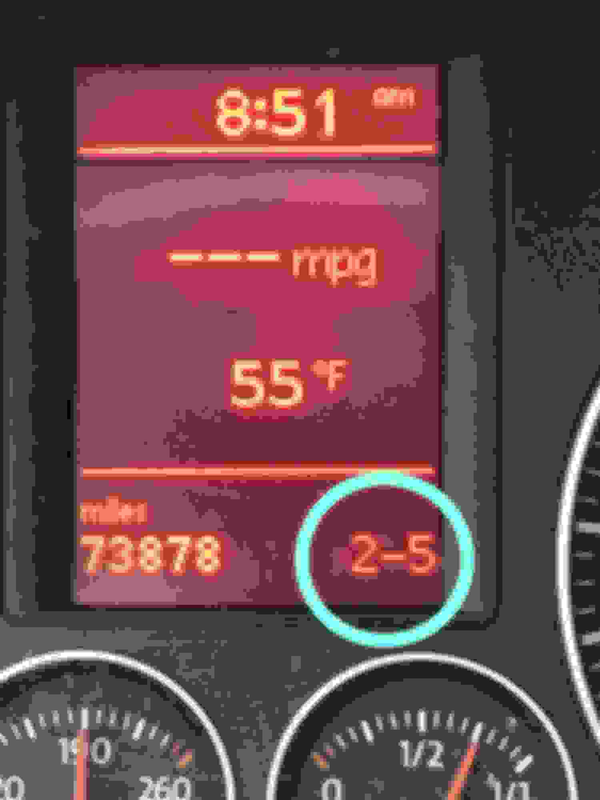 2015 GTI water pump issue?